I'm ready, lets schedule my session! Selecting a family photographer is only the first decision that will be made when having family portraits created. 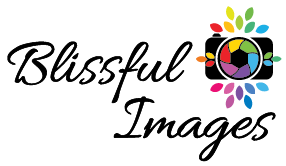 Once you have chosen Blissful Images, it will all get easier though because we help you every step of the way. Many people tell us they put off having family portraits made for years because of the overwhelm associated with decisions about clothing and location but with our expertise and guidance, it became simple. The Ultimate Portrait Experience is custom designed just for you. It is perfect for clients who don't want the DIY approach and desire the highest level of service and quality. HOW WOULD YOU LIKE TO DISPLAY YOUR IMAGES? THE SESSION PLANNING: At your session planning we will ask questions to get to know your family and what is most important to you in your session. To plan your perfect portrait session we want to know the season you would like to be photographed and the products you are most interested in. We will also discuss clothing, best locations and time of day. THE SESSION: At the session, we will all have fun while creating beautiful heirloom portraits you will treasure for a lifetime. THE REVEAL AND ORDER EXPERIENCE: Clients LOVE this! We start off showing your portraits projected on the BIG SCREEN in a beautiful image video set to music. We have tissues ready because so many clients are moved to tears of joy when seeing their portraits. From there we will guide you through making your selections and ordering all your heirloom wall art, groupings and albums. THE DELIVERY: 4-6 weeks after your Reveal and Order Experience we will invite you to return to the studio to pick up your portraits. AFTER YOUR PORTRAIT DELIVERY: This is the point in which you become our raving fans for life. Our hope is that you will tell all your friends and family about your amazing experience and get involved in our referral program. 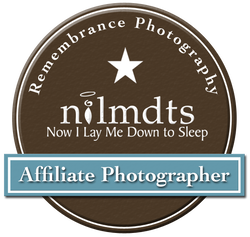 We will plan on seeing you in the future to continue to preserve your family's photographic legacy.